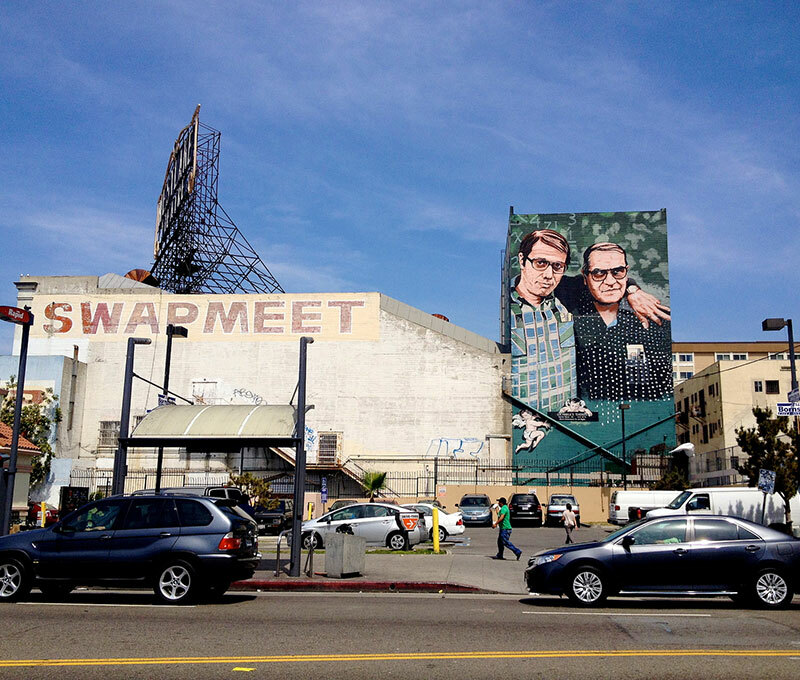 Ask Chris: Who Are the Two Men on the Mural Looming Over the Yoshinoya at Wilshire and Alvarado? Stand and deliver some respect for legendary East L.A. math teacher Jaime Escalante and for Edward James Olmos, the actor who portrayed him in the 1988 biopic. Sign painter Héctor Ponce, who walked from El Salvador to L.A. around the time Stand and Deliver was released, completed the six-story artwork in 1997. His son Levi recently honored Olmos with another mural near Héctor’s home in Pacoima.